For a number of players, the international break concerns friendly matches and EURO 2020 qualification games, but Niklas Moisander is using the time to travel home. After a shortened training week, the centre back will visit his homeland of Finland in order to rest, with the aim of being in optimal physical and mental condition ahead of the season run-in. Sebastian Langkamp is still sidelined, while Milos Veljkovic picked up his fifth yellow card of the season in the 4-2 victory over Schalke and is suspended for the weekend’s trip to Leverkusen. Florian Kohfeldt is therefore putting his trust in centre-back pairing Moisander and Friedl to keep out the Leverkusen attack, a selection that could benefit both, according to Kohfeldt. Werder’s defence let in 29 goals over the first half of the season. 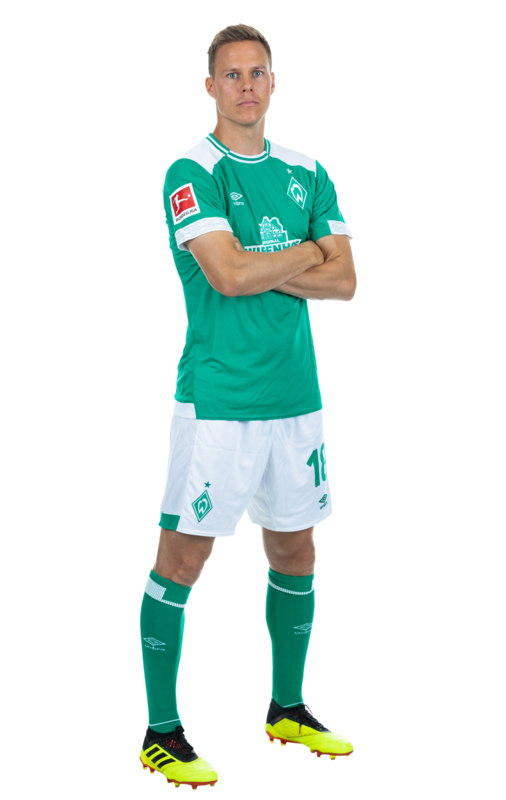 It’s not a stat the Green-White defenders can be proud of, and it isn’t, says Werder’s leader at the back, Niklas Moisander. “We played good football many a time, but it’s the little things in defence like covering counter attacks and pressing up which we have to bring back to our game with more consistency,” says the centre-back. Travelling to South Africa yesterday will have been a first for many of the Werder players, and a completely new experience, both on and off the pitch. “It feels good to be here”, says Niklas Moisander with a smile. Despite his vast international career and a wealth of experience, the Finn had never yet been to South Africa. The defeat against FC Bayern was less than 24 hours ago but the analysis of the game has already started. “We needed to play with more courage in the second half,” said Vice-captain Niklas Moisander on Sunday afternoon. “We had too much respect for Bayern in certain periods of the game. That is a very dangerous approach to take against such a good team,” said the Finnish defender.